Ireland's lowest-priced diy hardwood plantation window shutters!Design Guide | Ireland's lowest-priced diy hardwood plantation window shutters! Getting started on your shutter project couldn’t be easier with the help of our design guide. Explore the various options available to help you plan your shutter layout. We have lots of helpful hints and tips, rules of thumb to guide you while we also show you the pitfalls to avoid. We’ve summarised each step below or click on the links to the right to explore in more detail. 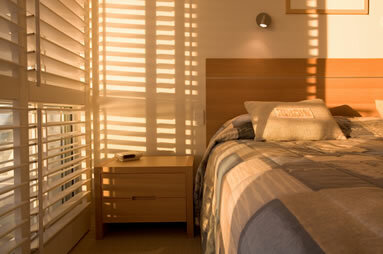 There are three different shutter styles to choose from; Full Height shutters covering the window from top to bottom; Tier-on-tier also covers the whole window but allows you to open the top panels back while leaving the bottom panels closed for privacy and finally Cafe style shutters cover the bottom half of the window only. How many shutter panels should I have? By and large the number of panels you choose will be determined by the style of your window and the number of sections it is divided into. In this section we’ll examine the pros and cons of having fewer, larger panels or more but smaller panels. Your shutter panels are hinged to a frame and this frame is then fixed to your window surround. There are numerous types of frames to choose from. Here we’ll help you choose the one that suits your window best. In this guide, discover which soft white best suits your living room or find a rich stain for the study. Also we reveal which colour is most popular with our customers. You have three different sizes of louvres from which to choose. In this section we’ll explain the different effects each one will have on the overall look. Again we’ll tell you which one most homeowners end up choosing. These are the vertical bars at the front of the shutter panel which are used to open and close the louvres. The traditional look has the tilt rod in the middle, however it can also be off-set to one side of the panel or why not eliminate it altogether and choose the hidden tilt rod option. Explore the options you have when it comes to your hinges and magnets. Contrast a chrome hinge on a white shutter or conceal with white on white? So let’s get started by choosing your Shutter Style.